Tonight I will be reviewing one of, if not the, most popular Crysis mods called The Call of the Fireflies. Being a very prominent Crysis developer myself, I can really get into detail here and relate to Clem in some ways. Call of the Fireflies is a relatively unique and mysterious project that has you taking to the fields, bridges, and lakes of an unknown land as an elderly man at the end of his days. The Call of the Fireflies stems its roots deep into Asian folklore and mythology, in which the elderly wander into the woods to die so their kin don’t need to clean up the body. With this in mind, let us start off the review by saying that visually and artistically Fireflies is completely untouchable when it comes to Crysis modding and it is nearly a sin it was underlooked and almost ignored in the Mod of the Year contest. While it is an amazing work of art on the surface, problems rapidly begin to appear in the shape of simplistic gameplay choices, needless restrictions (The old man can sprint like hell, but can’t jump. ), and annoying instant death scenarios. Lets start from the top, shall we? Beautiful. No jokes in this caption. CoF is very much a narrative tied to platforming. You wander the island, being guided by a beautiful particle effect of fireflies. They show you where to go, very much like how mist shows you where to go in Dear Esther or lanterns guide you in Worry of Newport. As you journey across this winter landscape you find yourself faced by puzzles, no doubt completely symbolic. In my interpretation you are dead. 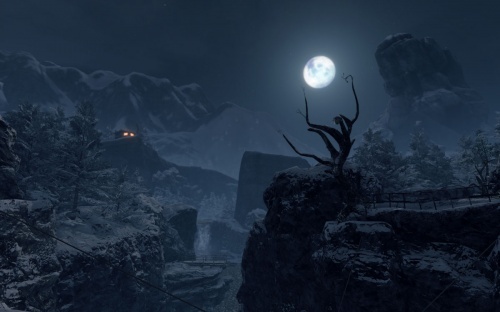 The winter setting is symbolic, the puzzles reflect choices in life, and the constant fear of death mimics morality. Oh, where was I? The puzzles themselves, though artistically beautiful and clever in such a restrictive engine, are boring. You cannot jump, you cannot interact and pick up objects, but you can sprint. This leaves a lot, and I mean a lot, of back tracking to literally go over a 2 inch gap in a fissure across the ice. Rather than jump over it, you need to use boards and props or find an alternate route in the freaking mountains. In this way there is no doubt Clem added filler to pass the time for the player. Moving on from the below average puzzles but beautiful imagery, voice acting is… sub par. The old man doesn’t even sound remotely old and his narrative is hollow and not really emotional. He sounds content, relaxed, and at ease: completely contradictory to the dialog he’s saying. Music, however, is beautiful. Very engaging and emotional throughout. So what does CoF do right? The beautiful immersion, the imagery, the engaging music and the mysterious and esoteric story. What does it do wrong? You can’t jump and can run too fast, the puzzles are frustrating but beautiful, and the lack of an in-depth narrative or story–and what little there is are just shadows–is frustrating. This is very much an artistic powerhouse but little else, offering a frustrating and annoying game play experience but also some of the finest visuals in Crysis modding history. 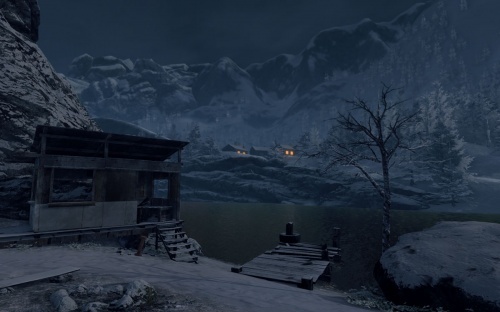 Unfortunately, CryENGINE 2 is often attributed instead as a building block for thousands and thousands of mods and levels completely identical to the base game. The expanse of the SDK and level designer go often ignored, users instead wishing to create the same old action game against North Koreans over and over again.